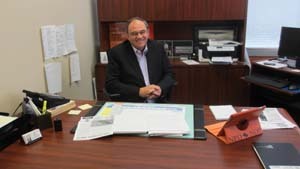 Claude Gravelle MP for the Nickel Belt Riding has an office located in Val Caron to serve the constituents in this area. So much has been happening with respect to internet technology over the past few years that it is hard to keep up. You hear about things such as emails, Electronic Newsletters, web sites and even unlimited long distance phone services over internet lines. It can be quite overwhelming to the average citizen who wants to take advantage of these new communication tools. Edgar Lajambe, owner of VCCNet.ca Internet Communications is committed to helping people get the most out of the internet.